This test strip is for the rapid and reliable determination of Nitrate and Nitrite in solutions. The easy dip-and-read-procedure provides a reliable result within 1 minute. Nitrite is an undesired byproduct in cooling lubricants. It allows the formation of carcinogenic compounds. 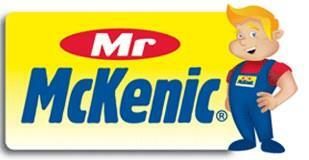 Cooling lubricants are therefore regularly tested for Nitrite. In natural and drinking water Nitrite can lead to infant mortality and dead aquatic life. The EPA primary drinking water standard is 1 mg/l. Nitrate is a byproduct of biological decay from plant and animal matter. High concentrations can be found in rural, farming areas where fertilizers are regularly used. Also, industrial effluents may contain Ammonia in higher levels. 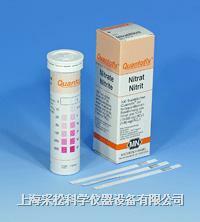 The EU threshold value is 50 mg/l and can safely controlled with QUANTOFIX® Nitrate/Nitrite. Farmers use this test to control the nitrogen content in soil to estimate the amount of fertilizer needed. In ponds and aquariums Nitrate is often tested instead of Ammonium to control the water quality.